If you need to sort by SKU try the following steps. From admin page, click Settings > General Settings > Appearance. 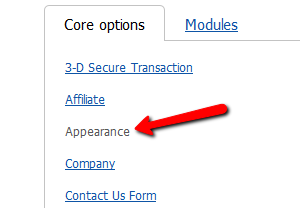 Scroll down and look for the following option and place a check in the checkbox to enable SKU in product list. Scroll back up the page and look for the following option shown in the image below. When you click on the drop down, you will now see an option to sort by SKU. Note: The SKU option is only available when the 'Display product code (SKU) in the products list' option is enabled. Sorting by SKU arranges products in a category so their SKU numbers ascend towards the page bottom (in case of alphanumeric SKUs, the alphabetic part also ascends A to Z); sorting by Product orders products by name ascending alphabetically; selecting Default orders products by their positions in the category defined by the products' POS. values; sorting by Price orders products by price ascending to the bottom of the page.